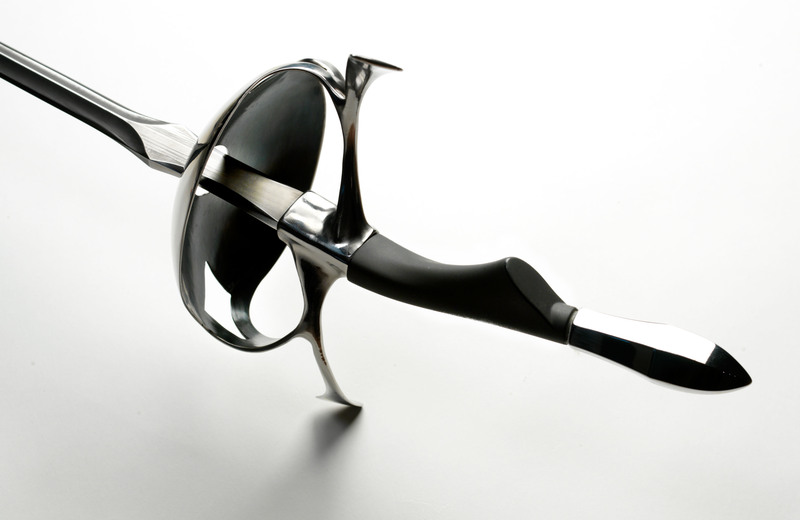 This is a custom made Modern Rapier™ with a wootz steel blade, pierced,blued guard with faceted long pommel. 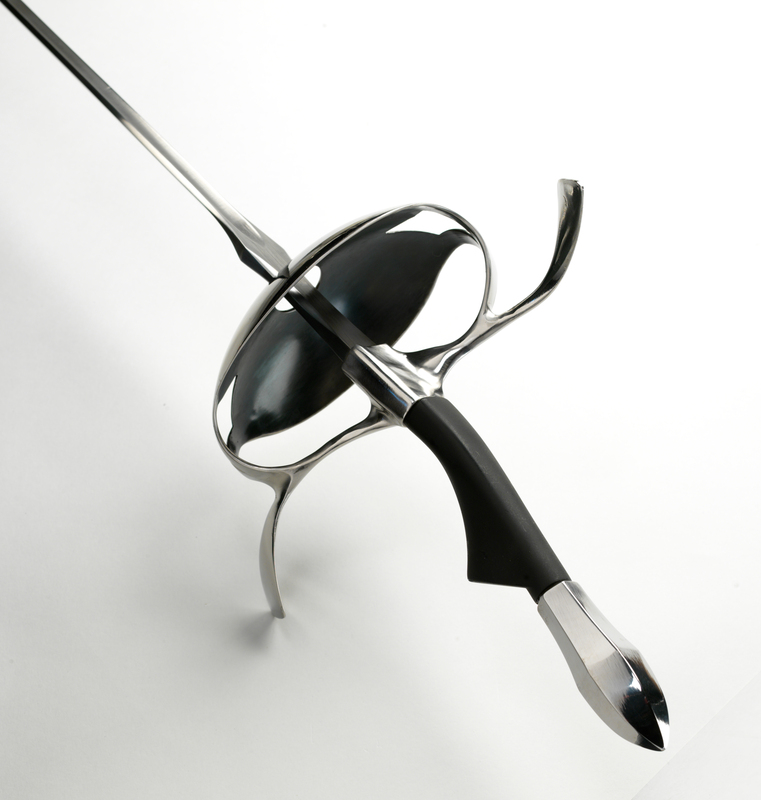 Love the look of the grip and pommel; but I have my doubts about the opening in the centre of the guard. Thank you for your comment. 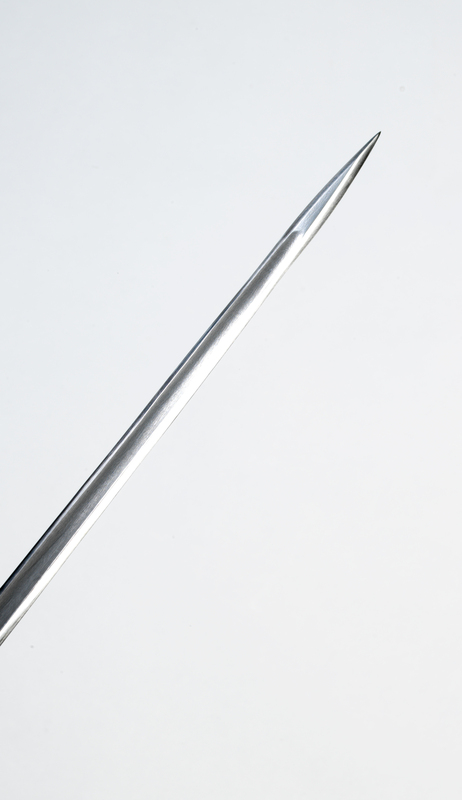 Your doubt makes sense to some degree, however it is a minimal opening when compared to period swept hilt designs. 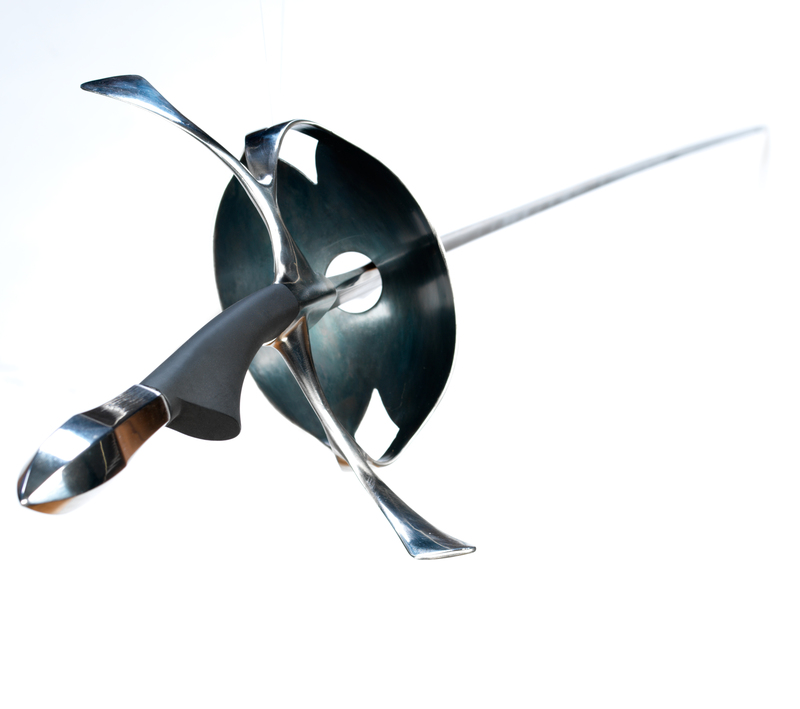 That being said, the opening in the guard is for a practical purpose. 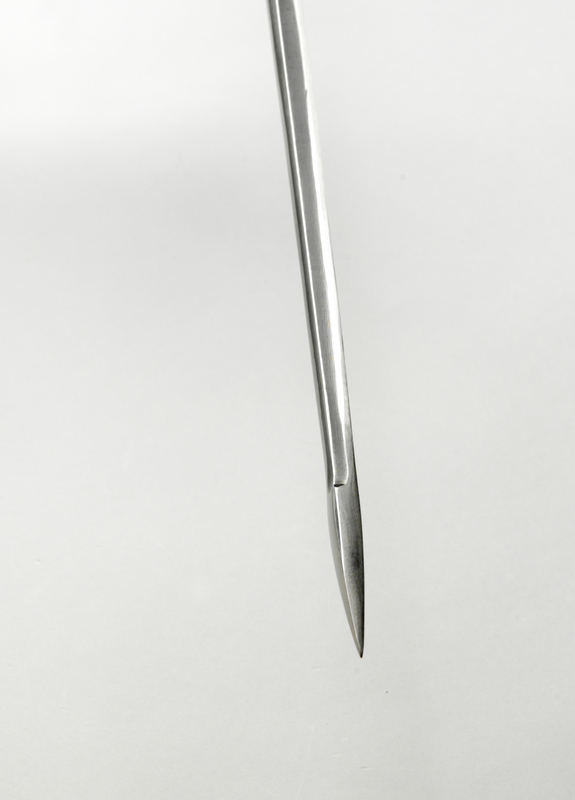 It allows experimentation with edge orientation and mounting of different types of blades to this fully serviceable hilt, An example of this is the Twisted ricasso version that orients the edges to the quillons in a more traditional manner. Gorgeous weapon. Would you do a trade?